The second video of the seventh module is now available, in which we will show a new tool related to the editing part in gvSIG. 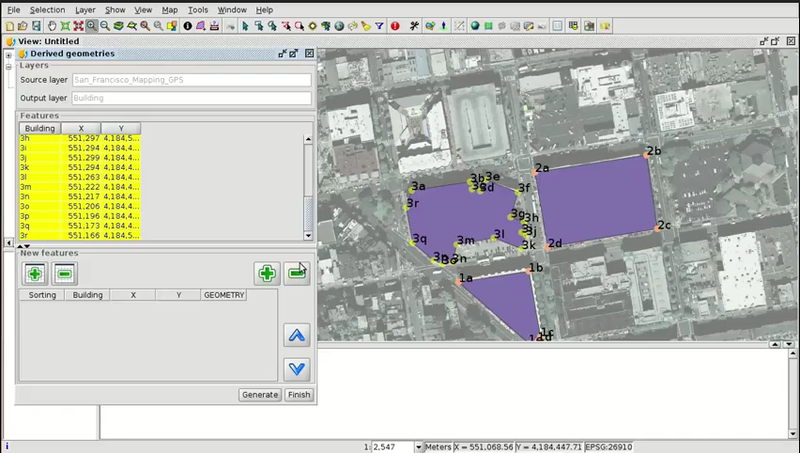 The functionality that we are going to see in this video will allow us to create shapefiles from other ones. We will be able to create a polygon layer from point or line layers, and also a line layer from points. It will be very useful when we have the points of the axis of a street in our municipality, where we have a field with the order of the points (if we don’t have that field we should check in the View which are the points when we select them to check the order), so we wouldn’t have to digitalize point by point. The same thing would happen when we have the points that form a parcel. If we have a parcel formed by 500 points, by using this tool we wouldn’t have to digitalize those points one by one to create the polygon. At this way it would be created automatically. The cartography to use in this video can be downloaded from the following link. This entry was posted in english, gvSIG Desktop, training and tagged city council, derivative geometries, editing, municipality management, vector editing. Bookmark the permalink.